Hi everyone! Therese is here hosting the August challenge. Today we are looking at flamingos in search of creative inspiration for your projects. We hope you’ve enjoyed our July challenge and will join us once again. We certainly loved each one of your projects and your take on our inspiration photos. I did fall in love with these flamingos at the Jersey Zoo, I couldn’t believe how anything could be such an amazing pink colour (and stand on such thin legs…)! 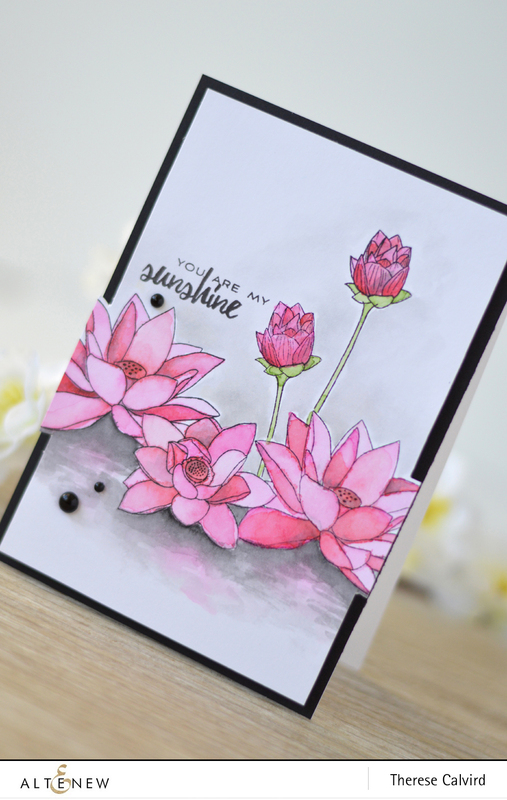 I decided that ‘watercolor’ was the best choice for this project and used Lotus as well as a sentiment from Best Mom. If you would like to see how my card came together you can either see my video here or Watch it in HD at Youtube. Challenge ends on Wednesday, August 31st at 11:55pm EST. After the challenge closes, four winners will be selected. Each will receive a $30 gift certificate to spend at www.altenew.com. Winners will be announced on Saturday, September 24th. What a gorgeous card. Flamingos are such great inspiration and have great color variations. Can’t wait to see everyone’s projects. So beautiful. I love that lotus flower. Your coloring is spectacular. Thanks for sharing. Beyond words beautiful! Thanks for a great lesson! Therese, your card is stunning! Therese, your interpretation of this is phenomenal! 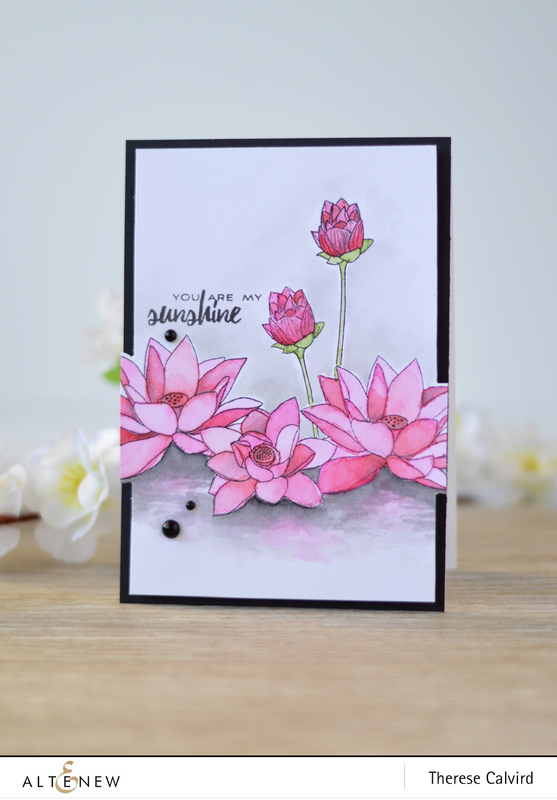 I love the way you added some pink into the background, as a kind of reflection – gorgeous! Those reflections on the water! Fabby. I was wondering where we find the winners for this challenge. I don’t see where it has been posted! Thank you! I too was wondering where the winners were for this challenge since they were due on Sept. 10th…I emailed Altenew yesterday and was told the winners would be posted Sept. 24th. Thanks, Donna, I’ve been watching here, too.